Stunning 4 year old 'Georgian Bay' with over 2,000 sq/ft of finished living space, 3 large bedrooms, 3.5 baths and no rear neighbours. Featuring large sunken foyer w/powder room. Open concept design, bright living room with pot lighting and dining room both with hardwood floors. Gorgeous upgraded kitchen w/granite counters, large island w/extended breakfast bar, pot lighting, tile back splash, stainless appliances and breakfast nook with patio doors to large rear deck and fully fenced rear yard. Upstairs offers 3 bedrooms including spacious master bedroom w/walk-in closet and 4-piece ensuite. Convenient 2nd floor laundry and 4-piece main bathroom. 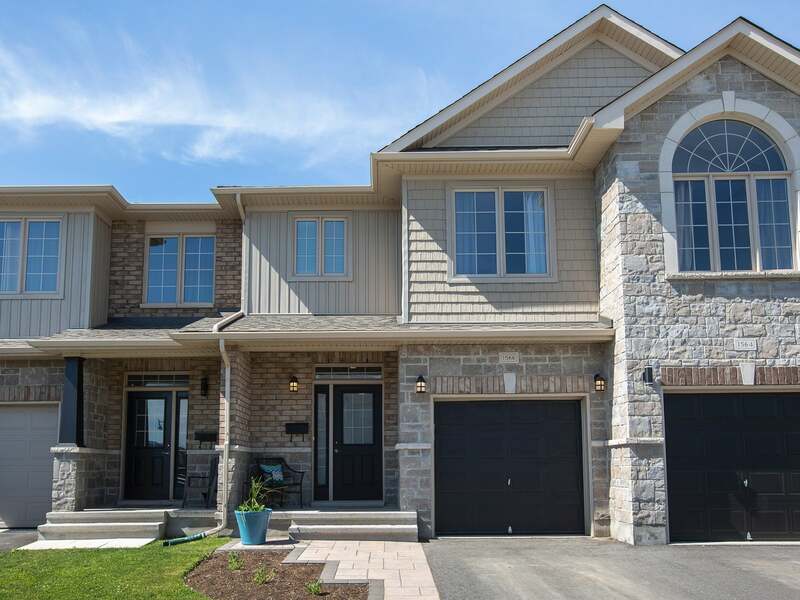 Lower level finished by the builder with large rec room, 4-piece bathroom and ample storage. All this plus paved driveway with interlocking walkway, attached garage with opener and inside entry, HRV, central air and 6 appliances included! Ideally located in popular Woodhaven, close to all west end amenities. An absolute pleasure to show, call to arrange a private viewing. Lot Size 20 x 121 Sq. Ft.